One of my favorite travel tips! 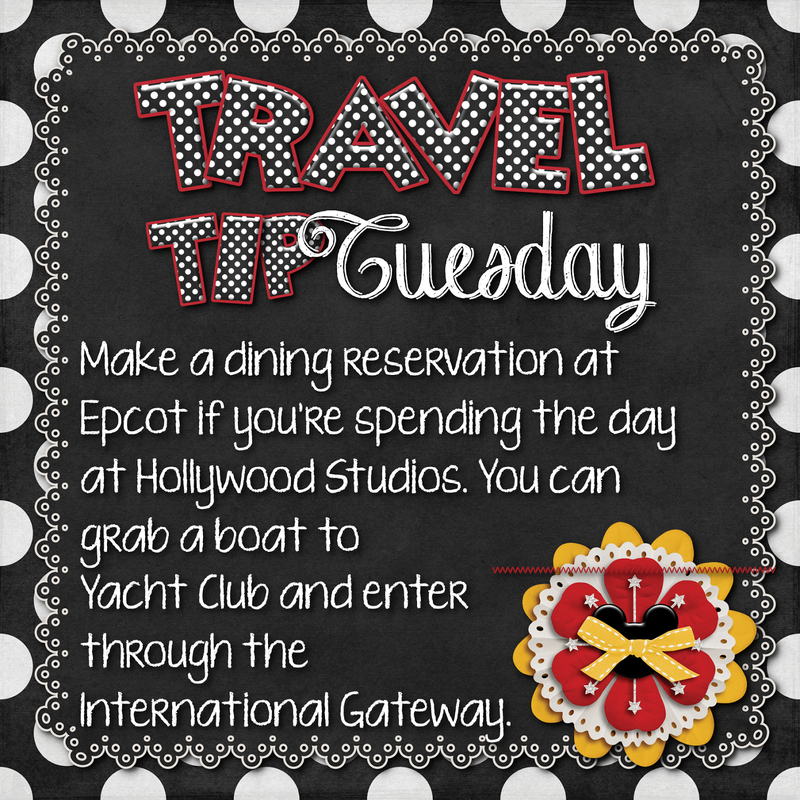 Dining choices are limited at Hollywood Studios so my family will hop on a boat and ride over to Yacht Club and walk to the International Gateway entrance of Epcot and dine in the World Showcase. You will need a ParkHopper pass to do this, but we add on ParkHoppers every Disney vacation. Watch for another great Travel Tip next Tuesday! This is one of my favorite tips!